We had our first outreach event this Saturday in PJ’s Restaurant on campus! 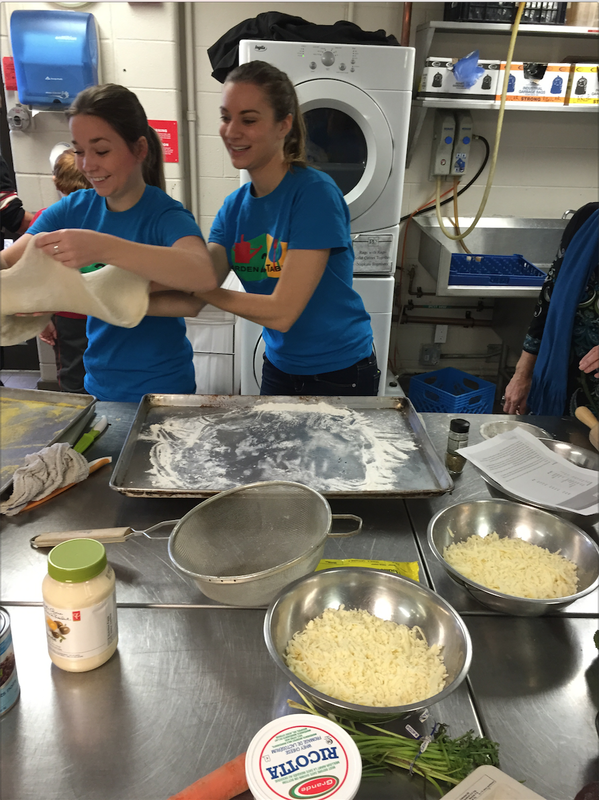 We paired up with the Big Brothers/Big Sisters group in Guelph for an afternoon filled with lots of cooking, eating and learning! There was a group of 5 “Bigs” and 5 “Littles” who arrived at 10am. We started by going through a tour of what a professional kitchen looks like and how things run. 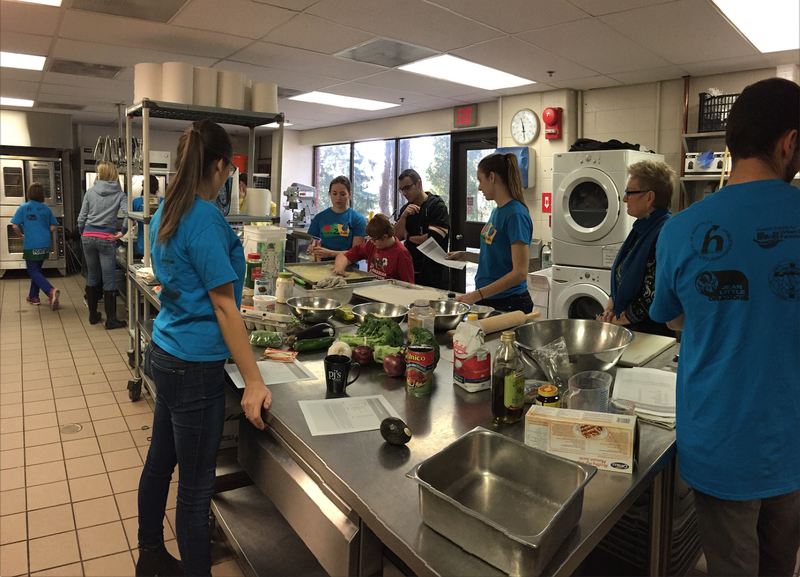 After a short presentation on hand washing and safe knife skills, we broke off into two teams to start working through a jam-packed list of recipes. 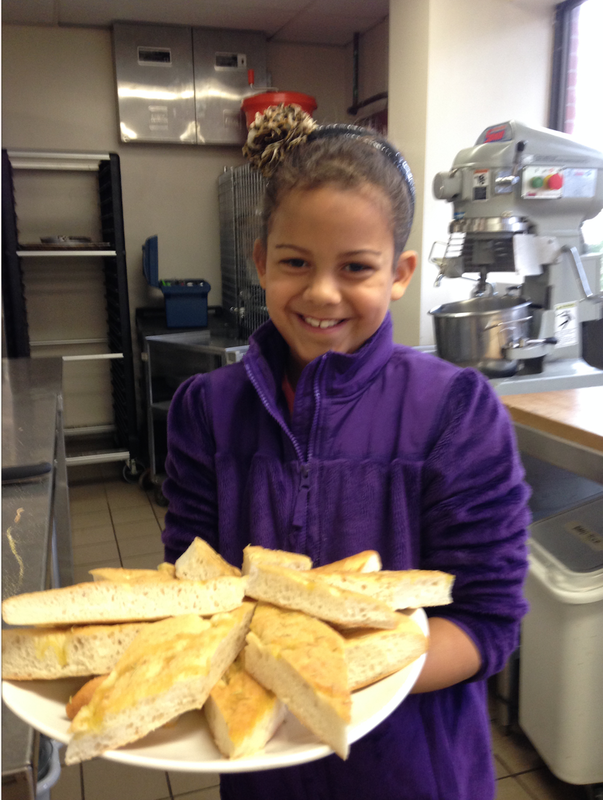 Everyone started out by making the rosemary focaccia bread- the famous recipe of PJ’s restaurant. We talked about how yeast is actually alive, and that’s what makes the bread rise. While the focaccia dough was rising in the proofer, we got started on creating the homemade sauce for the vegetable lasagne. It was learning experience for most the group in learning to use a scale to measure ingredients instead of the traditional measuring cups and spoons. We even got the children to help with the dishwasher “assembly line” and show them how a restaurant kitchen can get all their dishes done so quickly! Once the sauce was simmering on the stove everyone helped out to stretch out the focaccia dough and had fun poking little holes all over it before it went in the oven to bake. Next was the broccoli salad, which involved chopping up all the vegetables and making a homemade dressing. 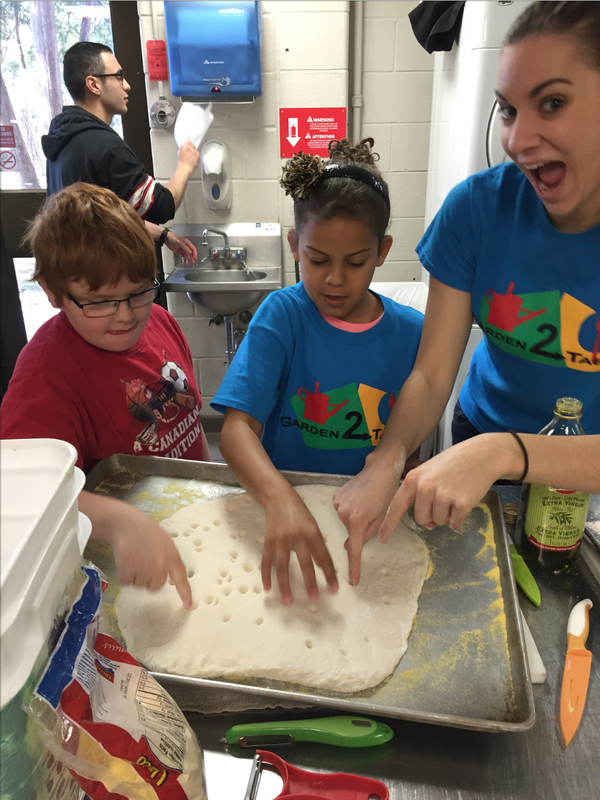 While half of the group worked on the salad, the remaining children helped measure all the ingredients for the black bean brownies. Everything was measured into a food processor, another new tool the children learned how it worked. This was the first time most of the group (including volunteers!) had tried brownies made with black beans instead of flour. I guess this is what happens when you let nutrition students plan the dessert menu! The timing worked out perfectly so that we started with the salad for our first course while everything was finishing baking. We got seated for lunch around 12:45 and had an excellent family-style meal of homemade lasagne and focaccia- it was a huge hit! Even the black bean brownies were enjoyed by everyone, a few children even said they would try making them again at home! By 1:30 we were started to clean up and say our goodbyes. The group left with full bellies and a recipe book of everything we made. 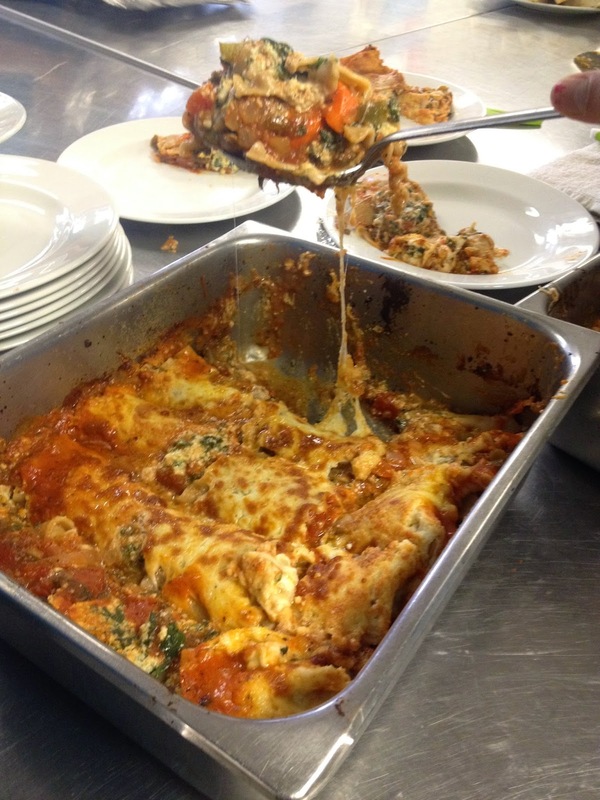 We can’t wait to hopefully cook with them again sometime this winter!